There are some people who just don’t ‘get’ coworking. The lack of structure, the open work space, the flexible hours – it just doesn’t float their executive boat. Nothing wrong with that – just as converted coworkers relish the freedom of choice in their work, so too do many others value the routine and familiarity that allow them to get their to-do list ticked off. Yet amongst the former group, a new school of thought is emerging around the coworking experience: that coworking is not a way of working, or description for an office space, but a mindset. Writing for Medium, self-confessed ‘digital nomad’ Cristina Santamarina says: ‘Sometimes coworking is a fit for people but people are not a fit for coworking spaces.’ The idea that individuals ‘fit’ coworking – that they thrive in it, that they understand and agree with the very fibre of it – is at heart of the coworking mindset philosophy. To get a better handle on it, it’s useful to break down the ‘typical’ co-worker – to take a closer look at their desires and needs and what it is they get out of bed for. 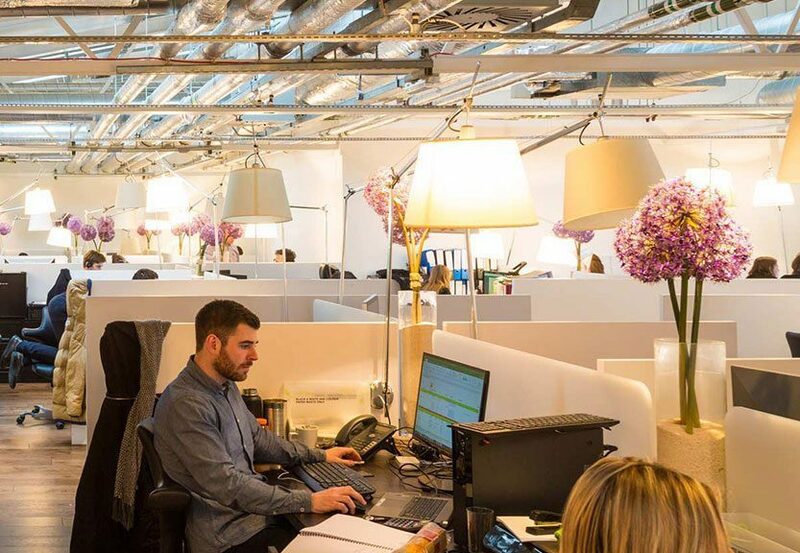 The typical co-worker is driven – coworking offices are home to entrepreneurs, start ups and growing SMEs, all of which require long hours and dedication. They are adventurous, perhaps not necessarily in deed but in spirit. They are keen to experience a new way of working, one that allows them to follow their curiosity and passion. On the most part, they are sociable. It is quite possible to be a coworking office member who darts in, keeps their head down and dashes out when it’s time to clock off. But mostly coworkers enjoy meeting new people and take advantage of the networking opportunities coworking spaces have to offer. These wants and needs have not, traditionally, been covered by desk-based, 9-5 jobs – not entirely, anyway (it would unfair, and un-true to suggest, that office life is not creative or fulfilling). Yet neither did they disappear as a result. Instead, a growing sector of the workforce simply laboured away become gradually disenfranchised by the restraints of office life. Similarly, coworking spaces did not fall out of the clear blue sky. They came along to sate a need that was not being met, and whilst partially this was physical, tangible – because who needs desks and filing cabinets when you all your work can be done from a laptop? – coworking arose to meet a mindset. As work became and communication became increasingly digital, workers felt they could, and should, be afforded more from their work experience. They wanted a better work/life balance. They stopped believing that defined hours, strict rules and a single location were necessary to produce good work. Indeed, they found they were often counterproductive. Coworking offices may have started out as bricks and mortar but it has come to be so much more. The comp’ed coffee, comfy seating and Friday beers may seem like frivolous perks, but they, too, are more: a reflection of a mindset that one’s workplace should be comfortable, even enjoyable. Increasingly, coworking spaces are meeting their members’ desire for professional development and socialisation with tailored workshops, expert-led talks and seminars, big-ticket social events. Coworkers expect more than ever from themselves, and from their work, so it follows that their workspace must follow suit. As the mindset of members evolve, so, too must the office. So in 2019, perhaps coworking is no longer a model of working that one chooses. Perhaps coworking chooses you.